No one would classify Princess Diana as a leader but I would (Leadership: Execute & Exemplify). Whenever she would talk to people she would go to their level. If she were talking to children she would kneel. That allowed people to trust her and endear them to her. Her willingness to go to others level was merely the tart of her compassion. What I learned from Princess Diana was that the harshness of life does not discriminate. Regardless of her position as an aristocrat and part of the monarchy she knew how to give love because she understood what it felt like not to be loved. She made an effort to give to others what she didn't have herself. It was her understanding of what it meant to be unloved that allowed her focus to be to make others including her own children feel loved. Princess Diana used the recognition of her own vulnerability to create love and do good in the world. Beyond Mother Teresa I believed her passion to attend to the people who needed help was unparalleled. 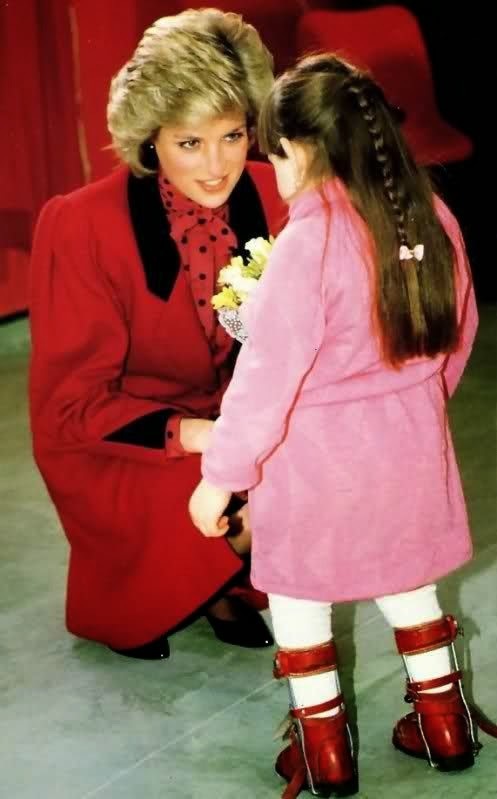 Princess Diana made compassion fashionable. A Sophisticate understands the harshness of reality. She fails and makes mistakes. What success comes out of her failures and mistakes is strength and compassion. The benefits of a failing (A Sophisticate is a Failure), going through rough times, and/or making a mistake is compassion. When a Sophisticate realizes that she nor (A Sophisticate is Imperfect) life isn't perfect a Sophisticate becomes compassionate. A Sophisticate knows compassion and strength are one in the same. Strength doesn't diminish, it grows. Like love compassion grows when given away. Compassion is something that requires focus and discipline every second of the day. A Sophisticate is compassion towards herself as well as towards others. She forgives herself. Compassion, like sympathy and forgiveness (A Sophisticate Forgives) is not about superiority. Compassion is the ability to create love and optimism. A Sophisticate is compassionate when she in confident within herself. When she goes beyond competing with others, starts creating positive situations wmf circumstances in her life, then she has enough of herself to give to others. Compassion is when you see, know, and understand pain, loss, and/or heartache. Compassion is appreciation for the feelings others feel during a painful experience.